Soledad O’Brien uses graphic videos and incisive interviews to show how the lives of young men are fractured by aggressive policing. 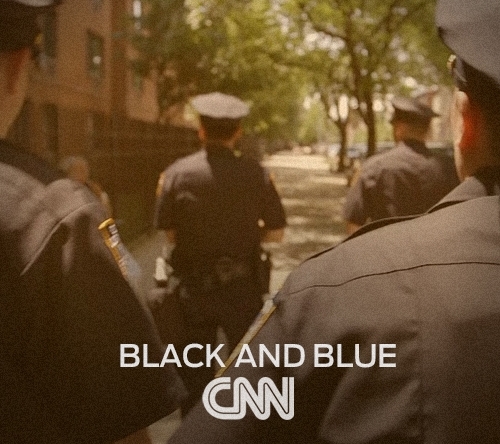 Her documentary film, BLACK & BLUE, takes the viewer into the lives of men frisked without cause, some as many as 100 times, and the police officers who insist they're just doing their jobs. Delon Beckett and Garrett Combs came home from the wars in Iraq and Afghanistan ready to resume the lives of promise they had left behind. Within months of coming home, their relationships were crumbling, their children were frightened of them, and suicide began to look like a solution for their anguish. Then, a new program that treats post traumatic stress gave them hope. Produced by Soledad O'Brien’s Starfish Media Group in association with MediaStorm, THE WAR COMES HOME follows the journeys of these two young veterans and their personal battles to recover from the effects of the wars that came home with them. In America, 1 in 15 women enter prison pregnant. Typically, the mother is stripped from her newborn within 24 hours of birth, causing possible lifelong trauma to both the child and mother. At the Washington Correction Center for women, inmates are able to live with their newborn for up to two years. The documentary follows Kristie Ebey and Margaret Taggert, the former a newly incarcerated mother fighting to get into the program and keep her baby, and the latter a veteran of the program facing release from prison as a single mother. Inside the walls of the J. Paul Taylor juvenile justice center are teenage thieves, arsonists, gang bangers – even kids who kill. At any of the nation's thousands of other juvenile centers, they would face swift punishment in a brutal environment that turns some into even more hardened criminals. But the J. Paul Taylor Center is trying a different approach to juvenile incarceration. 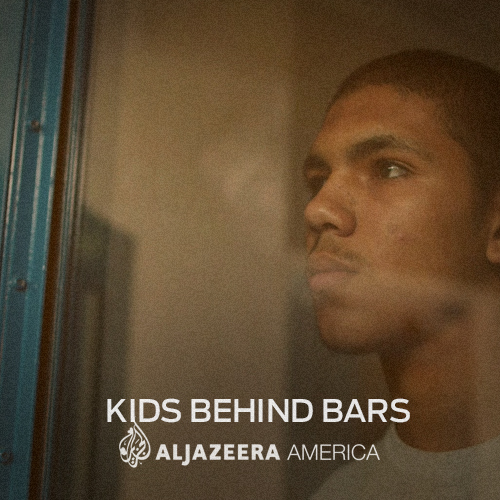 In an exclusive look inside the facility, Soledad O’Brien introduces you to three juvenile offenders who find themselves in a world of second chances. A New Mexico program called Cambiar – the Spanish word for Change – uses a progressive method for incarcerating kids that emphasizes respect and rehabilitation above all else. Juvenile offenders live in dorms, not in prisons, in small groups where safety, nurturing, and therapy are the watchwords. They receive an education, counseling, and a promise that they will never be thrown in solitary confinement or face abuse. 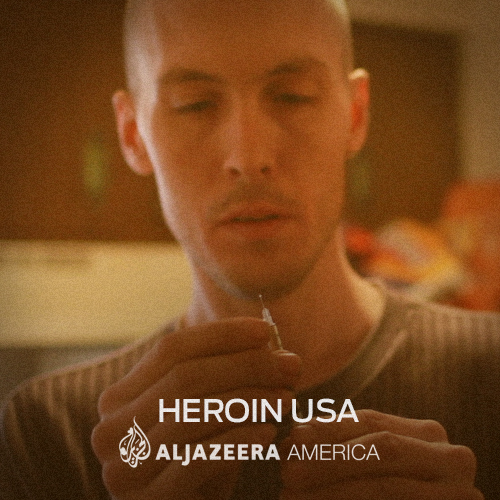 Across America, Heroin abuse is skyrocketing, and not just in poor communities. In Vermont alone, treatment for opiate addiction, including Heroin and Oxycontin, has risen 770% since 2000. Experts blame the scarcity of painkillers like Oxycontin, which has become one of the most widely abused opiates prescribed by doctors and resold under the table to dealers and addicts. As painkillers become more scarce and costly, addicts are turning to Heroin -even in the suburbs. Soledad O’Brien visits suburban Covington, Kentucky to chronicle the deadly drug's devastating impact on communities. What she finds is a brutal cycle of abuse where young mothers are literally injecting their veins with heroin in the cul-de-sacs of their suburban communities as their families struggle to save their lives and protect themselves. Despite their extraordinary acts of heroism, the nation’s highest honor long remained elusive for a group of exceptional American veterans. 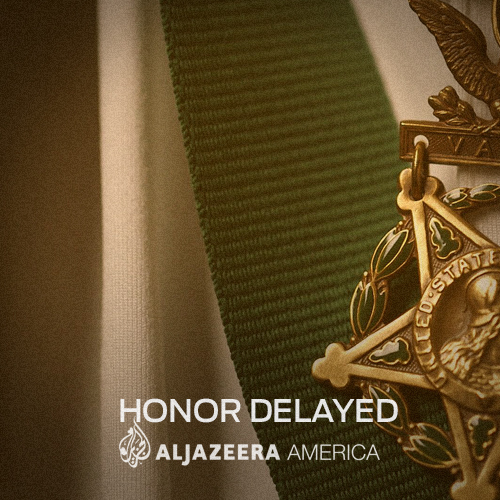 In the hour-long Al Jazeera America documentary, “Honor Delayed: A Soledad O’Brien Special Report,” Soledad O'Brien profiles U.S. servicemen who, for reasons of race or ancestry, were overlooked for the Medal of Honor for 50 years or more. The Medal of Honor, which comes with both tremendous prestige and tangible benefits in the form of increased retirement pay and benefits, has been awarded 3,512 times in U.S. history. Of these medals, only 234 have been awarded to minority service members.